Collecting Asylum: Entries to the Asylum - Saturday 23rd April 2016. Entries to the Asylum - Saturday 23rd April 2016. 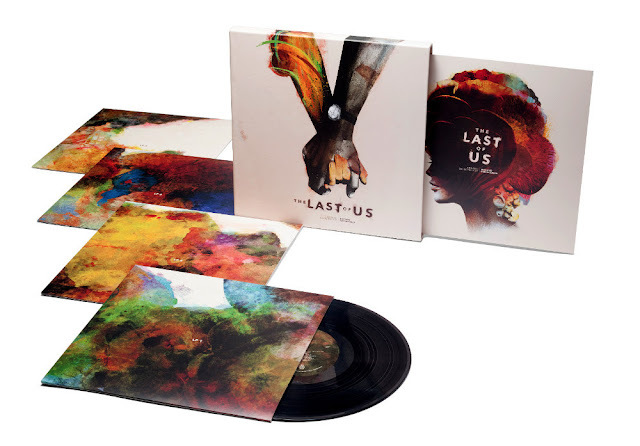 - The Last of Us 4xLP Original Soundtrack. This set from Mondo is absolutely stunning. Unfortunately, it has long since sold out. You may be able to find them on eBay, etc, and I really would recommend picking a set up if you get the chance. So, anything new in your collections today? The Super Late Edition of Thoughts on Thursday! Entries to the Asylum - Friday 22nd April 2016. Thoughts on Thursday - It's a mish-mash! Entries to the Asylum - Friday 8th April 2016. Entries to the Asylum; Thursday 7th April 2016. Asylum Reviews: Oxenfree [Xbox One]. Thoughts on Thursday: Final Fantasy XV!